Until recently, people with metastatic breast cancer (MBC) had a very poor prognosis. New treatment approaches have prolonged the time that people with MBC live, but their quality of life has received less attention. Consequently, the needs and concerns across financial, vocational, psychological, social, and physical domains in MBC patients are poorly understood—particularly regarding the collateral damage or longer-term, life-altering impacts of MBC and its treatments. This study’s aims were to characterize MBC-related collateral damage, identify groups most likely to experience collateral damage, and examine its associations with psychological health, illness management, and health behaviors. Participants (N = 515) with MBC were recruited from Dr. Susan Love Research Foundation’s Army of Women® and other advocacy organizations. Participants completed questionnaires of MBC-related collateral damage, depressive symptoms, anxiety, self-efficacy for managing oncologic treatments and physical symptoms, sleep, and physical activity. Eight domains of MBC-related collateral damage, as well as MBC-related benefit finding, were reliably characterized. Concerns about mortality/uncertainty were most prominent. Participants also endorsed high levels of benefit finding. Participants younger than 50 years, with limited financial resources, or with children under 18 at home reported the most collateral damage. Collateral damage was associated significantly with compromised psychological health, lower illness management efficacy, and poorer health behaviors, beyond sociodemographic and medical characteristics. Subgroups of MBC patients report long-term, life-altering consequences of MBC and its treatments, which relate to important health outcomes. Clinical implications and recommendations are discussed. The online version of this article ( https://doi.org/10.1007/s10549-018-4823-x) contains supplementary material, which is available to authorized users. We are grateful to the women and men who participated in this research. We are grateful to our advocate task force, including Cecilia Alvear (in memoriam), Dikla Benzeevi, Virginia Empey, Beth Fairchild, Michael Kovarik, Sheila McGlown, Carol Miele, RN, B.S., MPH, Lori Marx Rubiner (in memoriam), Sandra Spivey, Lynn Tramonte, Patricia Wu, Ed.D., and others, for their dedication to this research. 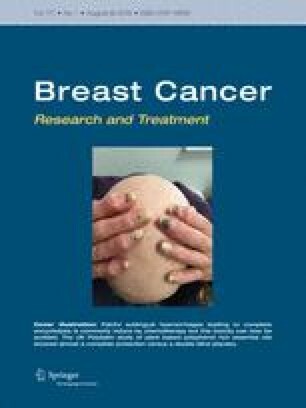 This research was supported in part by a National Institute of Mental Health Predoctoral Fellowship (Williamson, MH 15750), the Breast Cancer Research Foundation (Stanton), Pfizer, Avon Breast Cancer Crusade, Celgene, Genentech, and Lilly Oncology. This research complied with laws of the country in which it was performed. All procedures performed in studies involving human participants were in accordance with the ethical standards of the institutional and/or national research committee and with the 1964 Helsinki Declaration and its later amendments or comparable ethical standards.